People think that clowning is all fly by the seat of your pants, helter-skelter. While helter-skelter is definitely a favorite word in the clowning community what people don't realize is clowning is very detail oriented. Every clown has a different personality and different accessories. There are clowns that wear those flowers that spray water. There are slapstick clowns who delight in tripping over their ridiculous giant feet. You have to be honest with yourself when you're asking yourself what kind of clown you want to be. If you wear a red nose without determining whether you're a red nose kind of clown then you're simply conforming to what other people think a clown should be. What's the point of that? 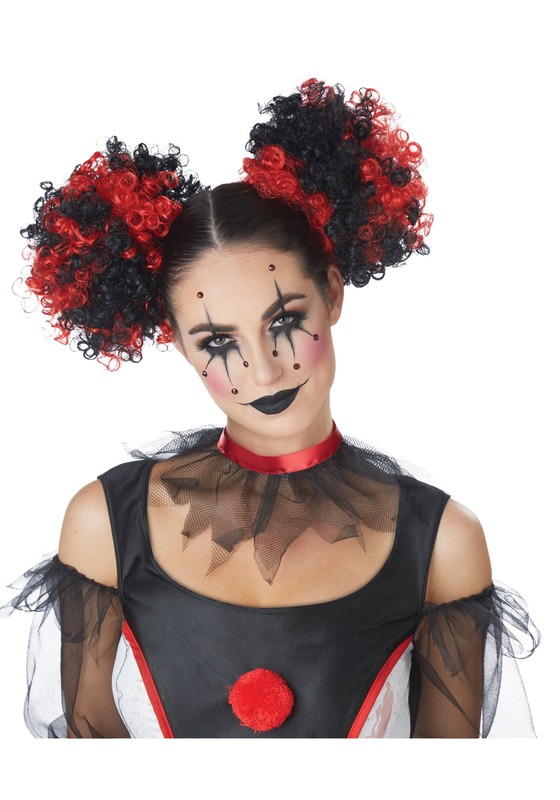 These puff buns will give your clowning alter-ego a sassy take on the classic clowning hair. When they're clipped in you can finally get up to some crazy clowning antics without your funky hair falling off and exposing your not so nutty head. Get ready to let your alter ego out to play with these funky buns.